The banking outage doesn’t mean for one to carry cash around, as many on social media are saying. Carrying cash is a high risk as if you lose it you aren’t insured and there’s no way to accurately track your spending, compared to your banking being linked to budget apps such as mint or quicken. Today is a great lesson for all, this instance being a great example, not having access to money can be a stressful event. I myself have experienced the mistake in my younger years of only having one bank account & when an issue occurred, I was left having to use a credit card and borrowing cash from someone until the bank issue was corrected. Here are 3 lessons from the outage today so you won’t be left in the red during the next banking outage. •Having more than one bank account will keep you ready for the unexpected. One idea is using one bank account for bills & savings then using another account as a ‘stash account’. A stash account is an example of having an additional account when your original savings goal has been met or extra cash. •We all remember the piggy bank, some still use a piggy bank or have one for their children. The truth is, we are never too old for a piggy bank, keep some cash in the house for times like this, just enough to get by for a few days. The only thing with cash, you have to be in control and not tempted to spend it right away and remember where you put it if not using a piggy bank. •Having a credit card on hand strictly for emergencies can never go wrong. While there are some consumers who are against credit cards, a good habit is to keep one tucked away for a rainy day just like today if you have no access to your funds. As of this afternoon, Wells Fargo access is still unavailable with consumer cards being declined nationwide. Consumers took to social media with their outrage of being unable to access their funds. 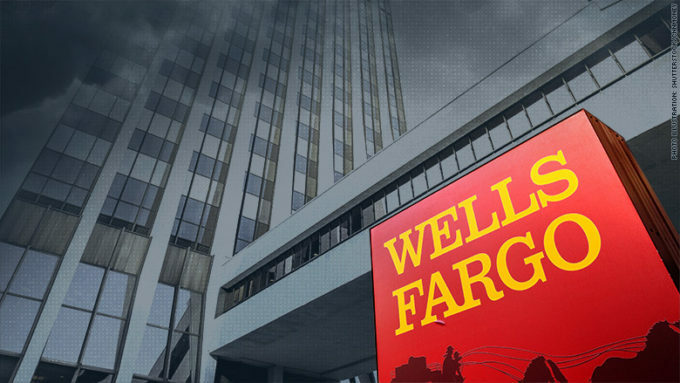 Wells Fargo took to social media as well to apologize for the delay and stated smoke at a center caused the outage.